It’s been just over a year now since I first put one of these sticks into my hand. I had been researching rods for a few months and I was keen on some 10 foot 2 weights for my competition fishing, but I didn’t want or have the mad bucks some companies want for this rod type. The name Syndicate had been mentioned in a few forums I was looking at and after checking them out a bit online I decided to buy one; and man oh man it was one of the best decisions I have made in fly fishing for a while. I am a keen competition angler traveling throughout Europe for competitions year-round and have been on our national team for some time now for World and European Championships. This year, 2018, I will captain our National team, so finding the right rods that I can trust, performance wise is crucial for me. I like to have all the same rods so when I set up on a river session no matter what rod I pick up I know it inside and out and I don’t have to adjust casting, striking or how I am playing fish because of having different rods set up on one session. 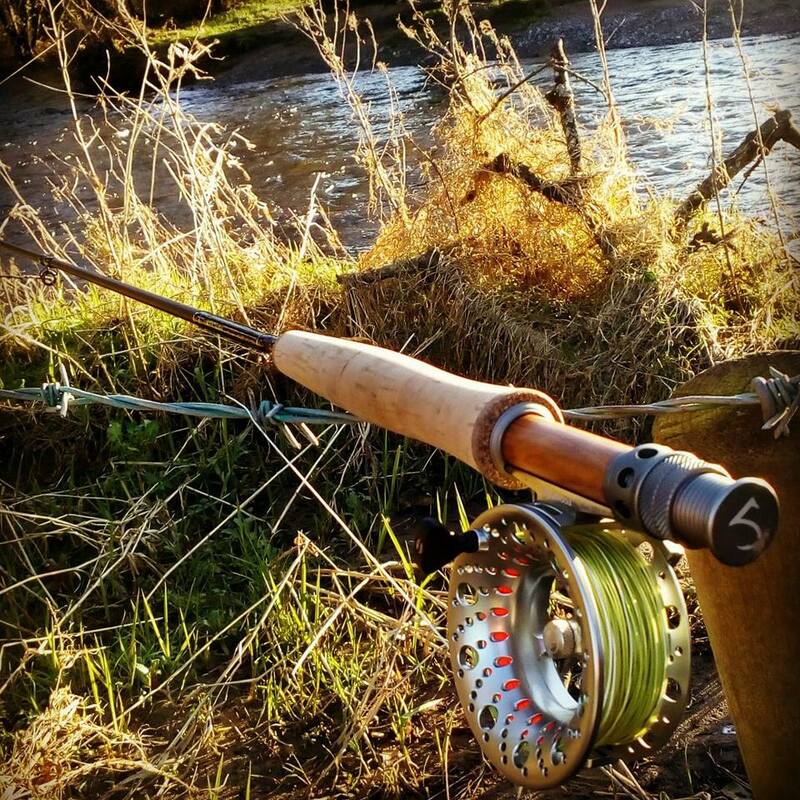 Also it is fantastic to have a rod that I can use for all my methods of fishing, be it dry fly, nymphing or dry dropper. While the Pipeline is an out and out nymphing rod it has the ability to do so much more as we find out every day we hit the water with it. Once I fished the Pipeline 10 foot 2 weight I had just bought, I did something that I had not done before with any rod company, and that was to email them to bow my hat to the rod they built. Not only did the rod look and feel magnificent but after reading through the reviews and the ethos of the Syndicate rod company I felt compelled to let them know my thoughts on their product. This range of rods offer superb tippet protection that is crucial for comp anglers so I can fish super fine tippets and not crack off. They are also powerful enough to play those larger fish I hit from time to time in a session. The rods are very responsive to my requests in casting and accuracy, while they are also outstanding in the sensitivity department, you feel everything. Be it micro beading, French nymphing or deep bugging. The contact I have with my flies throughout the cast and drift is nothing like I have felt before with any other rod; and for setting the hook, well its more than able. I fish in competitions with a good group of guys and we take them pretty serious. Since I discovered the Syndicate range, we have all switched over to them completely. I now only fish Syndicate, as too for my team partners, and over the last year we have had some great results on them. We have great confidence and belief when fishing with these rods, and it is a comfort to know the fantastic guarantee offered with them. If we break one it will be fixed within days and we are not waiting around for new tips running up to a major competition. Since my first contact with Eric and Mark, from Syndicate, I have joined the family that is Syndicate Fly Fishing and you couldn’t meet two more genuine guys that have the angler at the centre of their business and product objective. Even though I am now helping the guys get into Europe, I bought my first Syndicate rod retail and it was the best few bucks I have spent in a long time in Fly Fishing. I have no doubt that they have improved my catch rate and results. Between the 10 foot 2 weight and the 11 foot 2 weight pipeline they are a must for any angler that wants to take his nymphing to the top level, and the one of the best parts is that they are affordable.